Regular Exercise is one of the most important things for a healthy lifestyle. Within a few days of regular exercise, you can see changes in your body not only in terms of shape but an improvement in mental health as well. It's something that adds to holistic health routine. 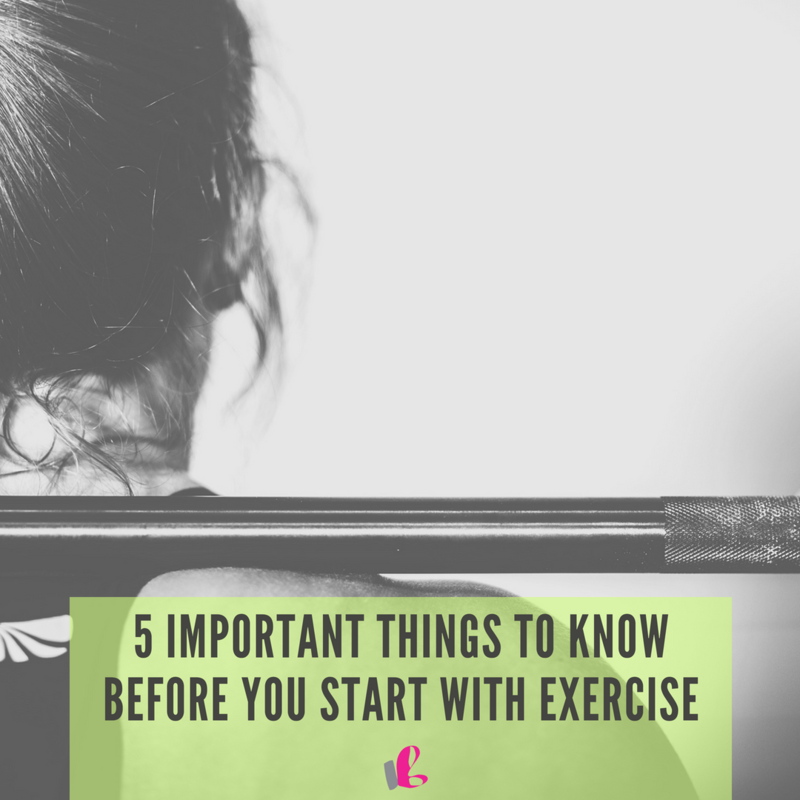 But it is necessary to know few important things before starting regular exercise. Fitness takes time: It is important to remember that you cannot achieve your fitness goals instantly. Achieving fitness is a slow but gradual process and patience is the key. It is very important to remain committed towards your goal and do not lose motivation. A healthy lifestyle consultant would be able to work out an exercise program personalized for you. No one sees instant results especially if you are starting to exercise after a long time. The only way to guarantee a good healthy lifestyle is to remain consistent. Eating is necessary too: Another important aspect to a healthy living is maintaining the nutrition requirement. Exercising tends to drain out the energy as well as it requires a change in your diet too. But remember that a balanced diet is important. Put focus on more protein intake and increase the carbs in your body. Also apart from eating healthy, it is necessary to eat right as well. Understand the right amount of food intake required for your body based on your fitness goals and keep the nutrition level up. Consult a holistic health coach for customizing a diet chart for you based on your goals and your requirements. Don’t punish your body, challenge it: It is said that you should treat your body like a temple. Taking care of your body is highly important so don’t be harsh on it to attain short term goals. Remember when you start exercising, challenging your body a little bit makes the session interesting and it is definitely okay to push your limits. But it is also important to not push yourself too hard. There is always a point till which our body can take extreme amount of pressure and the key is to understand that point. So challenge yourself enough to achieve the maximum result, but don’t punish yourself to harm yourself in the long run. Do the exercise right, or don’t do it at all: Doing your exercise wrong is more dangerous than not doing it at all. Pick out the right exercise and let your holistic health coach guide you how to do it correctly. Posture is very important in any form of exercise. However, a bad posture while exercising can have adverse effect on your body. So if you cannot pick on the exercises right, you would be harming your body more than doing anything good for it. So it is highly recommended that you do the exercises in the right manner, or skip doing them at all. Motivate yourself: The initial stages of starting an exercise can be difficult, so it is really important to keep yourself motivated. Set small goals to begin with, and then climb up the fitness ladder. The only way to remain motivated is to be consistent, even when you hit your blues. Accomplish your small goals and do not forget to treat yourself after you do them. Apart from this, you can also talk to your health and lifestyle consultant and jam up some motivation tunes for yourself. Motivation is what keeps you running so do not lose it because it is really important in the long run. A happy life is a healthy life and regular exercise is a key to a healthy lifestyle. So don’t wait any longer to start exercising. Begin exercising and move towards a healthy lifestyle, but keep the above important pointers in mind when you start.